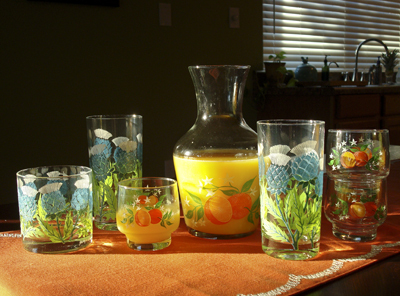 Who wouldn’t want to start their day with these cheery juice glasses? Would you believe I paid $2 for the entire set?! Considering my love of both blue & green hues, the vintage Georges Briard glasses were irresistible…and a steal at $3 for a set of 5! Nothing makes me happier than a lucky thrift store find!